The species Cedrus libani (Cedar of Lebanon) was first introduced to Britain in the early 17th century. 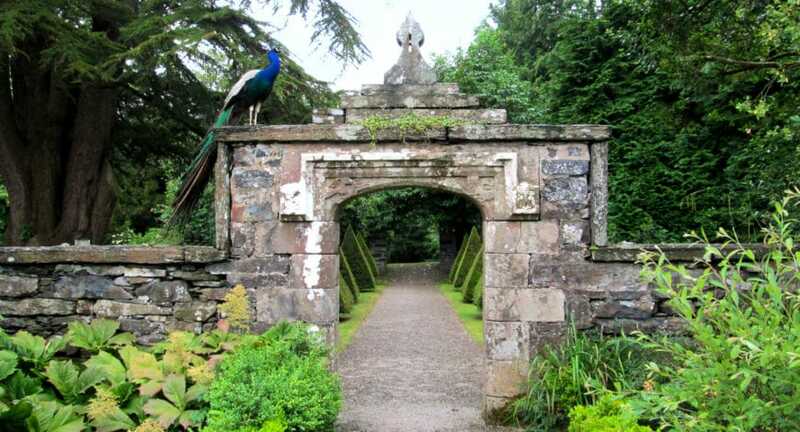 On an ASA visit to Gwydir Castle in north Wales, with the piercing screech of peacocks in our ears, we viewed a cedar planted in 1625 to commemorate the marriage of Charles I to Princess Henrietta Maria of France. Gwydir, a former fortified manor house that had fallen into ruin by the 1970s, is now the lovingly restored home of Judy Corbett and her husband Peter. One exciting moment in the epic story of its restoration involves its missing dining room interior. Judy and Peter traced this to the storerooms of New York’s Metropolitan Museum of Art. Randolph Hearst had purchased its panelling as salvage and donated it to the Met, but it had never been unpacked. Metropolitan Museum employees first opened the crates upon Judy’s and Peter’s request. They negotiated its return, and Prince Charles opened the Gwydir’s restored dining room in 1998. On this same tour, we stood in awe at Caernarvon castle, on the very spot where young Prince Charles had been invested as Prince of Wales thirty years earlier. 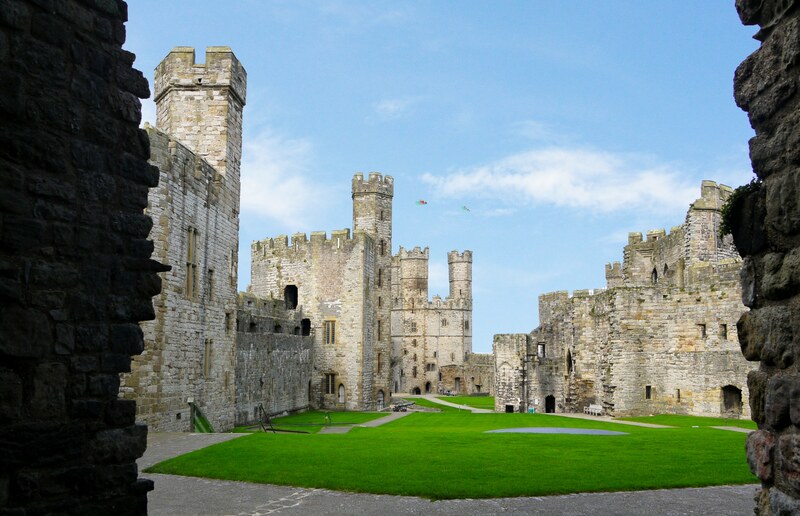 Caernarvon was dramatically sited on the Welsh coast opposite the Island of Anglesey by Edward I (1272-1307). Now partially ruined, this purposefully austere citadel, guardian of Edward’s crown lands, could be supplied from the sea in case of siege. Peacocks also greeted us at Powis Castle, set spectacularly on a natural rock outcrop with fabulous cloud hedges tumbling down terraces dripping with flowers. We Heathcotes love Powis not only for its associations with Margaret’s forebears but also for its wonderful eponymous wormwood plant (Artemisia ‘Powis Castle’) with its silvery green foliage. Prince Charles is still an occasional guest; it is his favourite Welsh castle and has a tower bedroom reserved for his use. From castles to ducal palaces and Chatsworth, the Derbyshire home of the Dukes of Devonshire. The fabulously wealthy Cavendish family also developed the fashionable spa town of Buxton in the Derbyshire peak district; at Buxton, we love staying at one of England’s oldest coaching inns – Buxton Old Hall. For the first time on next year’s tour we shall include the RHS Chatsworth Flower Show. First held in 2018, this unique horticultural event is set in Capability Brown’s wonderful landscape. When is an Englishman’s home not his castle? Although built in part with stone from a medieval castle, Castle Howard in Yorkshire is no fortress, but rather a vast Baroque palace, a treasure house of art and fine furniture, all displayed in fine 18th century interiors. Castle Howard gained particular fame as the home of Sebastion Flyte and his family in the ground-breaking 1980s television adaption of Evelyn Waugh’s great novel Brideshead Revisited (1945). Many television series have been set both in grand Yorkshire houses and in the surrounding countryside, but for a traveller nothing resonates so powerfully as experiencing them directly as the beloved homes of families who kindly open them for us to enjoy. For a full day by day itinerary of this tour visit, Great Castles, Country Houses & Gardens of Yorkshire, Derbyshire and Wales led by Richard Heathcote, Director of Benefaction at Carrick Hill historic house and garden in Adelaide and former manager of Rippon Lea Estate, the National Trust’s flagship property in Melbourne. Listen to Richard Heathcote on Australia’s award winning gardening podcast, All The Dirt, hosted by Deryn Thorpe and Steve Wood. Click below to listen to the episode.